 At Conway Medical Center, we strive for excellence in everything we do and we pride ourselves on good clinical outcomes for each and every patient. Our weight loss program focuses on positive patient outcomes, so we can help those in our community who are morbidly obese or struggling to lose extra pounds achieve better health and a better quality of life. If you are 100 pounds or more over your ideal body weight or have a Body Mass Index BMI over 40, surgery may be the solution to your weight problem. At Conway Medical Center, we understand that severe obesity is not a cosmetic problem — it is a major health concern that can lead to heart problems, Type II diabetes, high blood pressure, edema, orthopedic conditions, and other serious health problems. That’s why we have established a program to help many people with severe obesity overcome their problems through weight loss surgery. As medical specialists, our patients come first. We are focused on providing our patients with the highest quality of patient care. We understand the challenges obesity causes and we use our education and expertise to help our patients restore a better quality of life. We are committed to educating our patients on treatment options, so they can make informed decisions and gain a better understanding of weight loss treatment and the recovery process. We offer free educational seminars for anyone wanting to learn more about weight loss options and the specific surgeries we offer. We strive to provide an environment that encourages patients to discuss their problems, concerns and needs in an open and relaxed atmosphere. All potential patients are asked to first attend a weight loss seminar before setting an appointment. During the seminar Dr. Nuwayhid will discuss all the things that you will need to know to make informed decisions about your path towards weight loss. 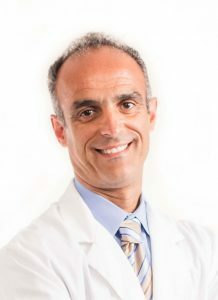 He’ll also explain the specialized care he gives patients and the support provided during your weight loss journey. It’s very that you make an informed decision that’s right for you, and this seminar is your first step in doing that and achieving your weight loss goals. You can register for the free seminar by clicking here. After attending a seminar you can set an appointment. To make an appointment, please call 843.347.3900. New patients are asked to arrive 20 minutes prior to their appointment time to complete necessary registration information and forms. If you are running late or unable to keep your scheduled appointment, please contact our office as soon as possible. CMC Weight Loss specializes in weight loss surgery as well as gallbladder and anti-reflux surgery.